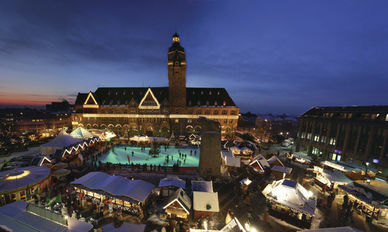 S urrounded by a vast forest, Remscheid is situated in North Rhine-Westphalia, in Germany’s west. Former birthplace of iron and wrought metal work, Remscheid is an important German industrial centre for tools and mechanical construction, as well as a business and service centre. The landscape is an unparallelled gift as much as for the 126,000 Remscheid people as for visitors. The far reaches of the Berg forest spread into all areas of the town whose small valleys and hillsides are covered with fields and meadows. At 40 years old and with a hundred members, the Remscheid twinning is very active. Numerous school and cultural exchanges take place every year. During the Ascension holiday Breton and German families maintain their friendships with visits. Sporting events such as the Braden “Foulées” is the moment when the “Rederien ar Braden” and the Remscheid runners enjoy mutual interests. Limerick is the biggest town on the west coast of Ireland. Bishopric, port, industrial centre at the crossroads of road and rail routes, it links the southern and western provinces of the Republic. With 75,000 residents, Limerick is a large regional capital. It is built on the east and west banks of the Shannon river, approximately 90km from the Atlantic ocean and 27km from the Shannon estuary. Limerick enjoys a great geographic situation for visiting some of the most renowned countryside in Ireland or the historic monuments of the south and west of the country. Killarney, the Burren and the Connemara can be visited in a single day. The outskirts of the town and its county are also rich in churches, abbeys and ancient monasteries. Direct rail links attach the town with Dublin, Rosslare, Waterford and Cork. Limerick has benefitted from the development of Shannon International Airport. Vue d'OurenseWith 108,000 inhabitants, Ourense is the third Galician town by population and the county town of Galicia. 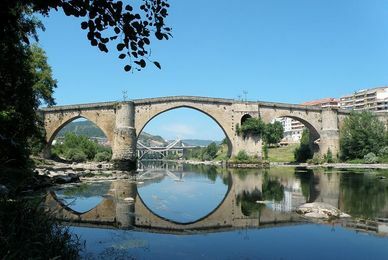 Ourense is the birthplace of Galician culture. The museum contains numerous tools from the Palaeolithique age, witness of an large archaeological wealth. The Romans who built the city left behind numerous traces such as the Vella bridge which spans Mino river. It was during the Middle Ages that the town developed massively, as shown by the magnificent San Martin cathedral. Agriculture and vineyard-based, it’s also a service-industry town located in the « San Ciprian economic polygon ». 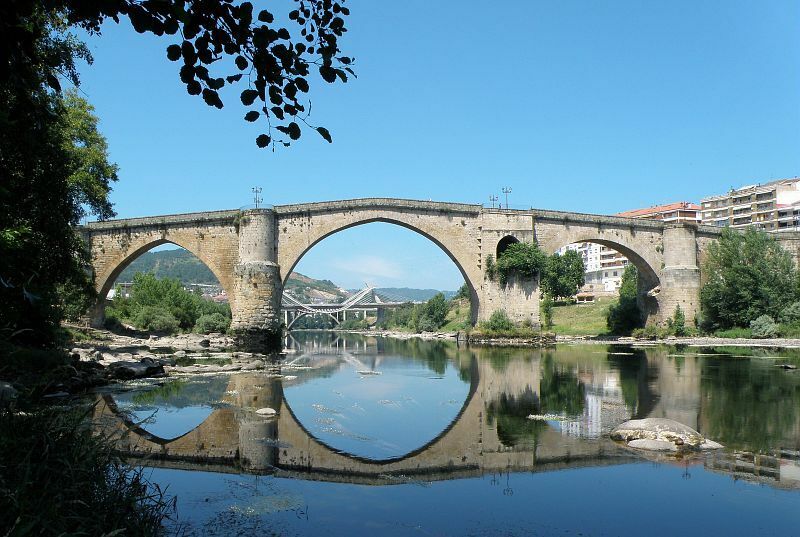 Ourense has thermal springs and open air resorts such as the famous « Burgas » springs in the town centre. Exchanges take place between Breton and Galician secondary schools. Derived from the language apéritifs organised by the Ergué-Armel Community Centre, the « salud…y palabras » meetings proposed by the twinning committee are an opportunity to exchange in Spanish around a few tapas. Economic exchanges have also taken place through the signature of a partnership between the Ourense and Géant-Cornouaille shopping centres. This initiative promotes the hosting of business or business-related studies students on work experience. 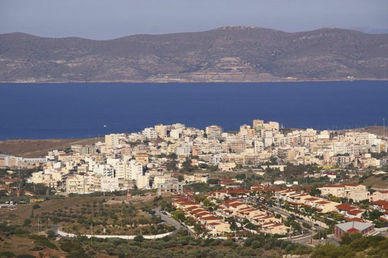 Lavrio en GrèceLavrio is located on the heel of Attica 60km from Athens and numbers around 10,500 inhabitants. Mecca of mining exploration, Lavrio has become an important port on the east coast of Greece. Surrounded by archaeological sites (such as the famous Poseidon temple at Cape Sounion), Lavrio is the departure point for the Cyclades. Foggia, ville située en Italie dans les PouillesFoggia is a town in Apulia (NE of Naples), in the south of Italy, numbering nearly 170,000 inhabitants. 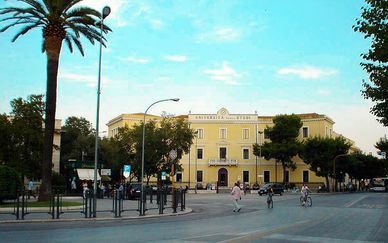 Historically reputed for its agricultural market, Foggia has developed its food-processing sector. Rich in architectural heritage, it is also well-known for its jazz festival. The twinning committee draws on the experience of the Italia-Brittany association : the two associations work together to encourage the discovery by the Quimper people of their country, language and rich culture. Yantai, literally 'Tower of smoke' is the prefectural city of the Shandong peninsular, 750 km from Beijing. Located opposite South Korea and North Korea, Yantai is bordered by the Sea of Bohai to the North and by the Yellow Sea to the South. It has 1.5 million inhabitants, rising to 6.47 million between the 12 subdivisions (4 districts, 7 county-level cities and 1 county). Yantai has undergone extraordinary expansion since the end of the 20th century. An important industrial centre (2nd Shandong city after Qingdao) it is at the forefront of manufacturing and cutting edge technology and research, ranking it as the 6th national area of development. The city is also Shandong‘s largest fishing port, offering a significant strategic position for international trade. Yantai is a very prosperous wine region, and is gaining a worldwide reputation. It is home to China’s largest ancient wine cellar: Changyu, and in the city centre is the Wine Museum. It is also famous for its agriculture, in particular apples and pears. A beautiful city, with a magnificent panorama consisting of the Kunyu mountains and the Bay of Changsan (comprising 32 Islands), there are several kilometres of beaches and a large number of parks including the Penglai Pavilion (the 4th best park in China). 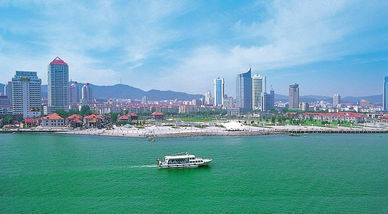 Yantai has become an attractive and popular tourist region. The relationship between China and Brittany has a strong and lasting history. Indeed the city of Rennes was the first in France to welcome Chinese students in 1964, a year which would mark the beginning of many exchanges between China and Brittany. It was in 1985 that Brittany and the Shandong province signed a collaboration agreement, a real source of vitality from an economic point of view. A logical partnership, given the many common points between our two regions, their geographical location, their powerful economy, their focus on agricultural, maritime, industrial and tourism activities, but also for the importance paid to culture and tradition. Since 2005 Quimper and Yantai have combined their skills and expertise in the services of education, agri-food and tourism, in order to foster the emergence of innovative and promising projects. The aim is also to create a spirit of sharing and commitment through the organisation of events, engagements and meetings between key players from the two regions. • 2002: Twinning is proposed between Yantai and Quimper. • October 2004: A letter of intent to form a twinning agreement is signed in Quimper by the mayors of the two cities. • May 2005: The signing, in Yantai, of the twinning agreement between Yantai and Quimper by Mayors Mr. Zhou Qi and Alain Gérard. A symbolic date, also celebrating the 20th anniversary of the union of the Shandong province with Brittany. • December 2009: Quimper welcomes a Chinese delegation, with growing determination to develop student and commercial exchanges, both public and private. • 2013-2014: Summer jobs, student exchanges.